Hermanus Koekkoek – City of London Corporation 688. Title: A Calm. Date: 1852. Materials: oil on canvas. Dimensions: 41 x 56 cm. Nr. : 688. 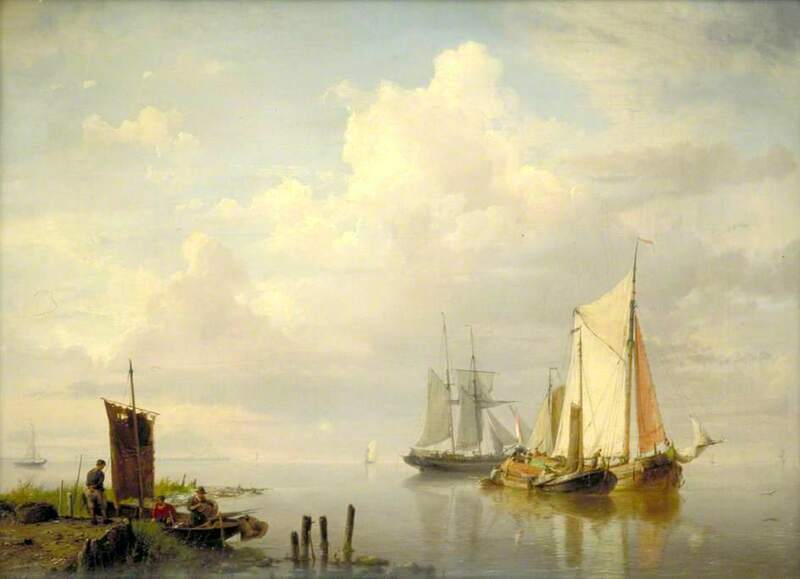 Source: https://artuk.org/discover/artworks/a-calm-51092/search/actor:koekkoek-the-elder-hermanus-18151882/page/1/view_as/grid. I have changed the light and contrast of the original photo.